Catch Acclaimed Pianist Rachel Z at Zinc Monday, April 19. Book your tickets today! 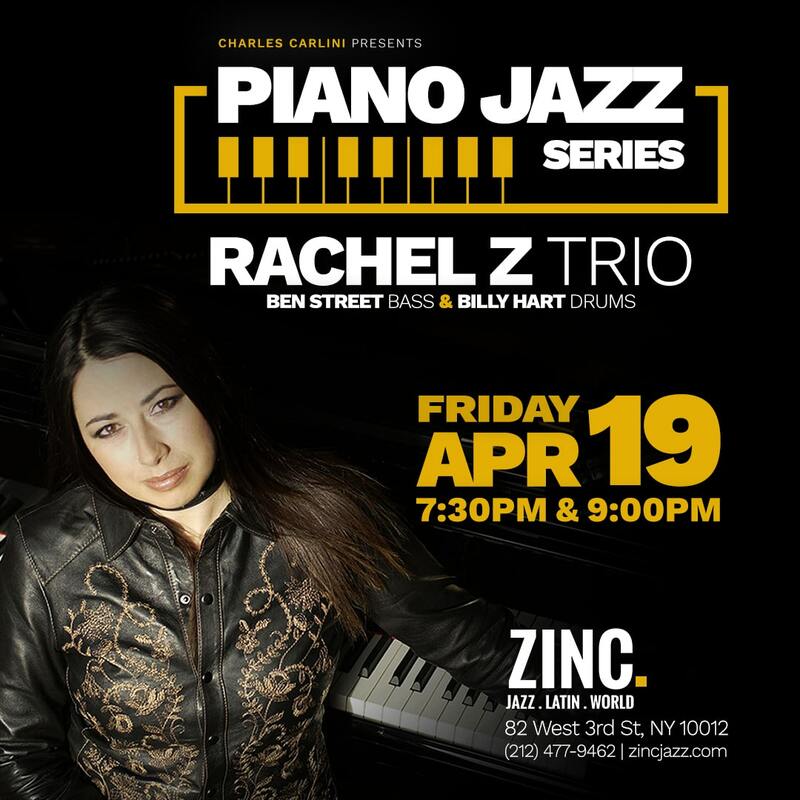 Acclaimed jazz pianist Rachel Z brings her trio to Zinc for a splendid evening of jazz piano on Friday, April 19. She’s supported by bassist Ben Street and drummer Billy Hart.